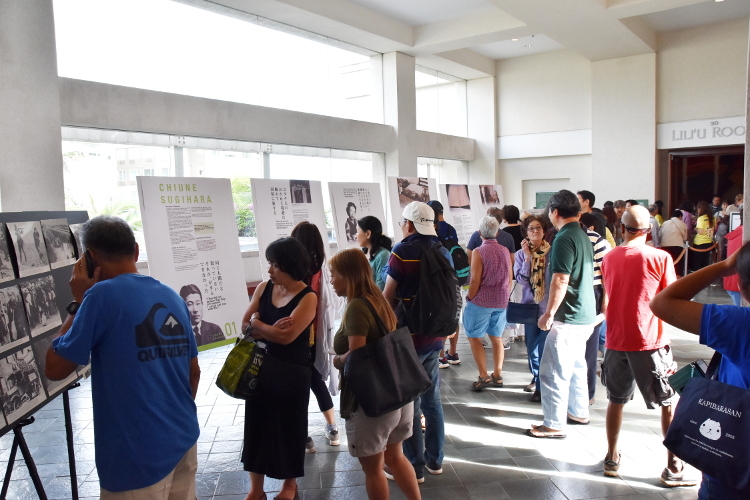 This year’s highlighted event, the “Inspiring Story of Chiune Sugihara” was conducted under the theme of the 23rd Annual Honolulu Festival, “Cultural Harmony, Journey to Peace”. The Honolulu Festival is a festive event which can be fun and glamourous. At the same time, the symposium is hosted by the festival every year which has an innovative cultural value. 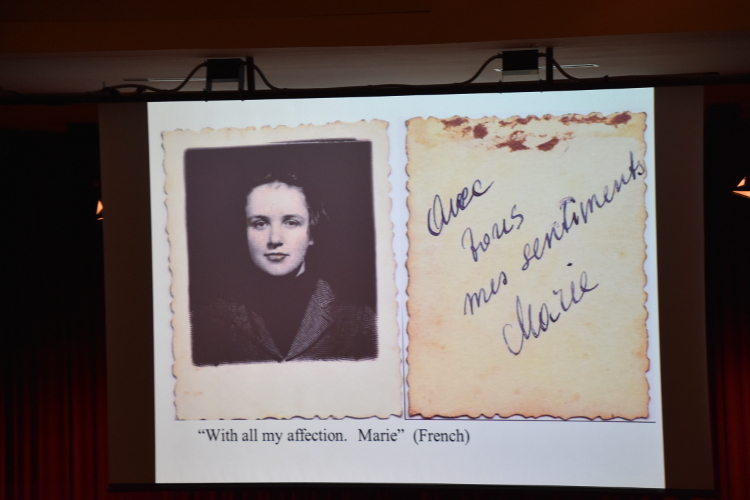 This year, we changed the format of our symposium and focused on the topic of Chiune Sugihara in 2 sessions. 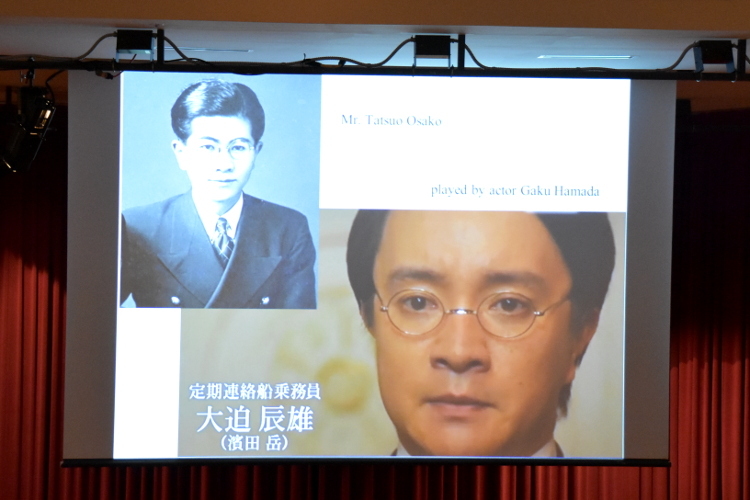 The first session was a keynote lecture by Akira Kitade, who is closely related to Chiune Sugihara. Then the Japanese film, Persona Non Grata (2015) was screened during the second session. This event was held for 2 days on Saturday, March 11 and Sunday, March 12. The theater was full which some of the audience were standing. 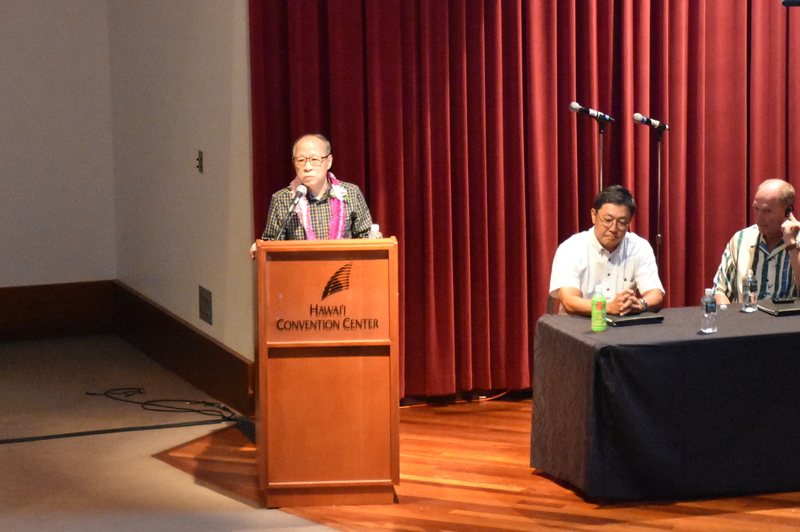 The second session featured a film screening of the 2005 Japanese film, Persona Non Grata. Furthermore, the event was planned and executed by President Harufuku and his staffs. In addition, the planning began 10 months prior to the festival, which the staffs were busy requesting for cooperation and coordinating with various organizations. We were able to share our important message of world peace by observing the real-world situations such as conflicts and ethnic problems through this year’s event. 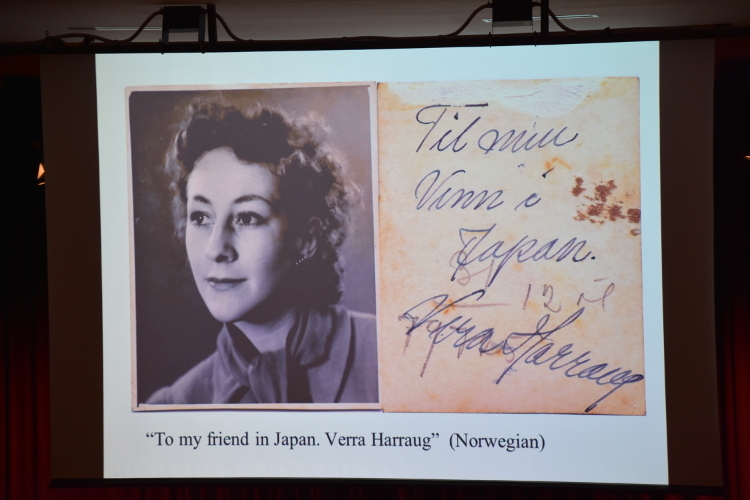 President Harufuku of the Honolulu Festival Foundation introduced the achievement of the Japan Tourist Bureau (current JTB Group) in which the company was involved in transporting the Jewish refugees from Vladivostok, Russia to Tsuruga, Japan, while Chiune Sugihara was issuing the visas. 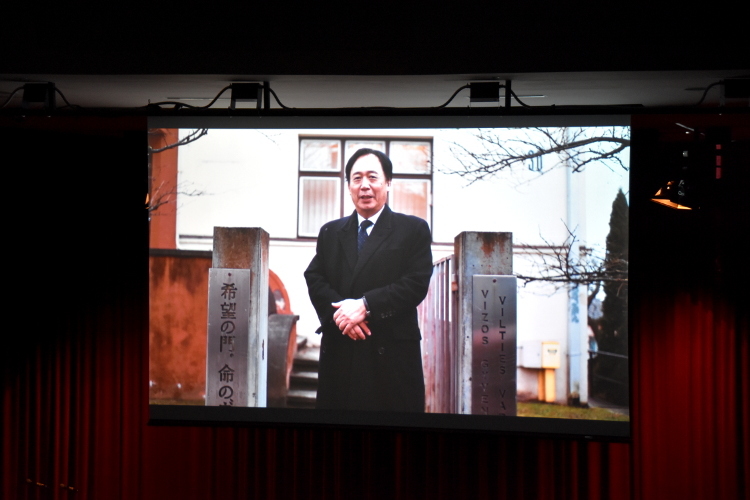 Next, the video message was shown which was presented by Toyoei Shigeeda, who was the former Consul General of Japan and also the current Ambassador of Japan in Lithuania. 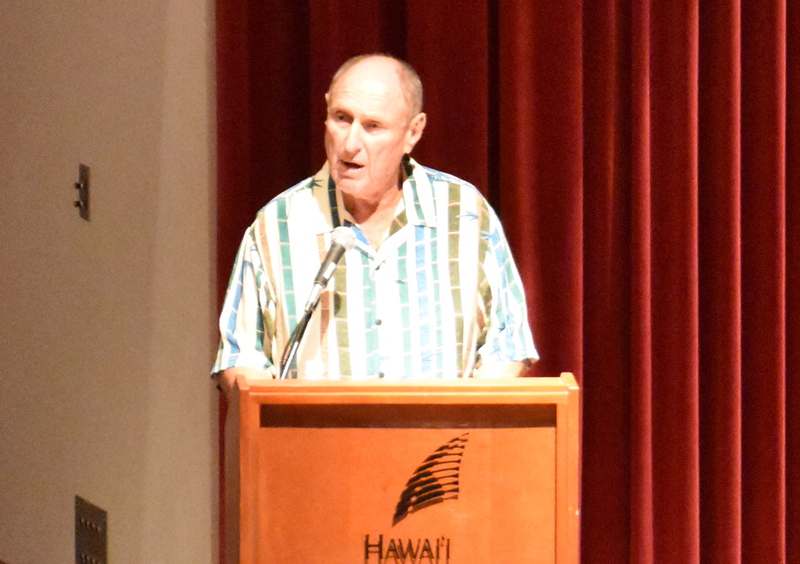 Afterwards, Mr. Seymour Kazimirski from Temple Emanu-El, who lives in Oahu gave a speech. 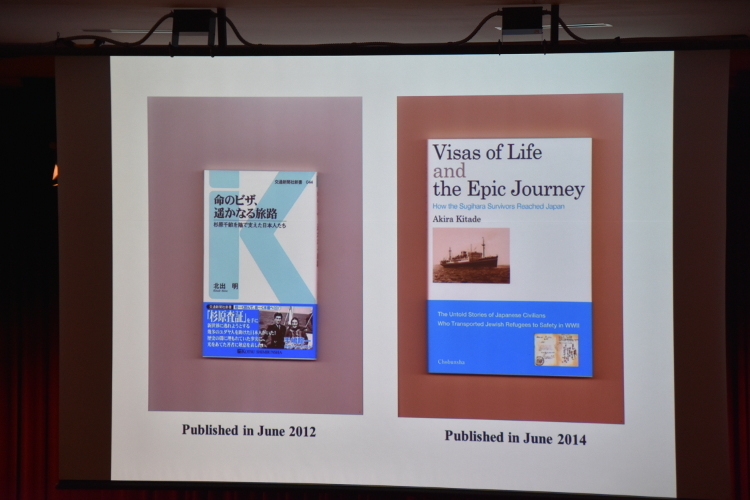 Then it was followed by the keynote lecture by Mr. Akira Kitade, who is the author of Visas of Life and the Epic Journey: How the Sugihara Survivors Reached Japan. At last, President Harufuku thanked all the supporters and called for donations for the Sugihara House, which is a museum located in Lithuania. Lithuania is a country which is crucial in discussing about Chiune Sugihara. Toyoei Shigeeda, the current Ambassador of Japan in Lithuania (former Consul General of Japan in Honolulu) sent us a surprising video message for this event. 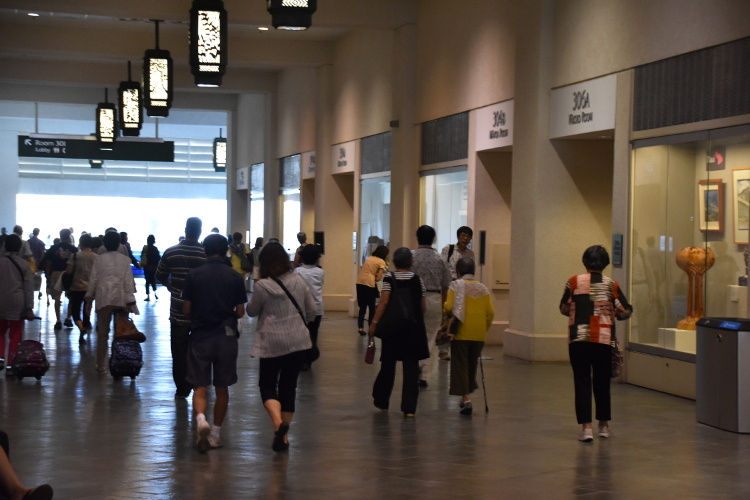 Akio Hoshino, who is the executive director of the Honolulu Festival Foundation has a relationship with Ambassador Shigeeda, who was also the former Consul General of Japan in Honolulu. Hence, he was able to prepare the video message from early on. 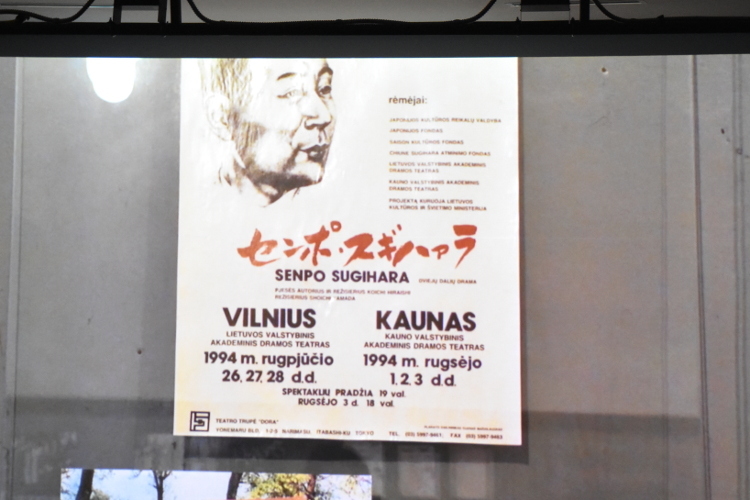 Also, Shinichiro Sugita, an employee of JTB Czech Republic made a great effort for Ambassador Shigeeda to introduce about Lithuania, which the video mainly focused on the museum of Chiune Sugihara. 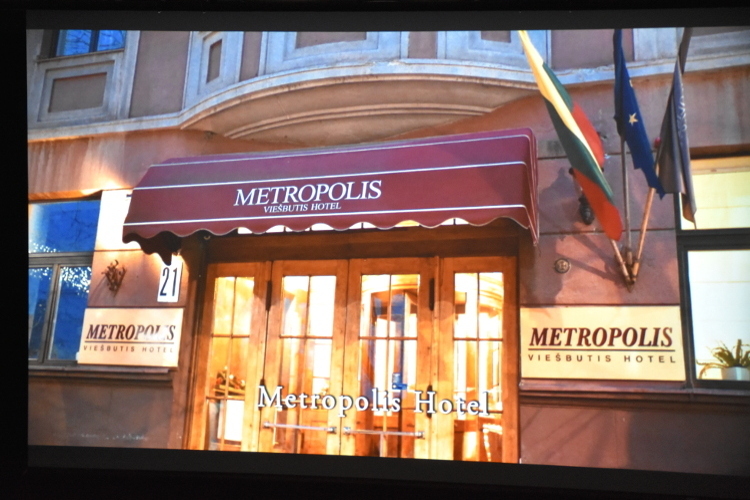 The video included scenes of the Sugihara House (former Japanese consulate), Metropolis Hotel (where the visas were issued) and the monument of Chiune Sugihara located in Vilnius. 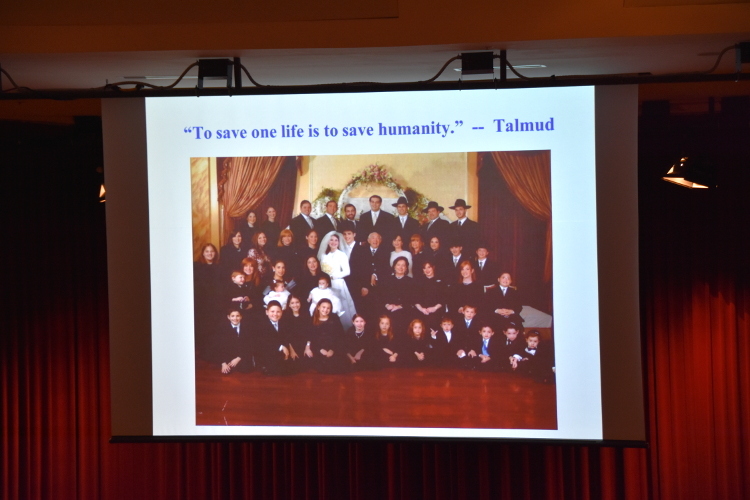 The parents of Mr. Seymour are both Holocaust survivors. They escaped from the Nazi’s and immigrated to Canada. 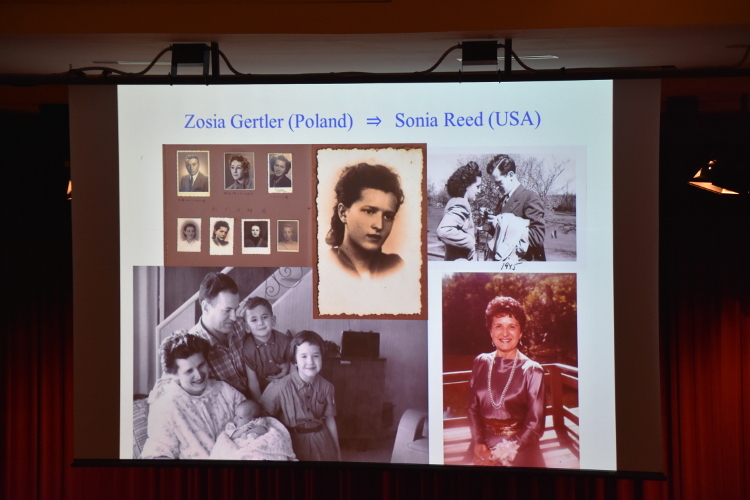 Only these 2 from the Kazimirski family have survived, but the rest of 64 family members were killed by the Nazi’s. 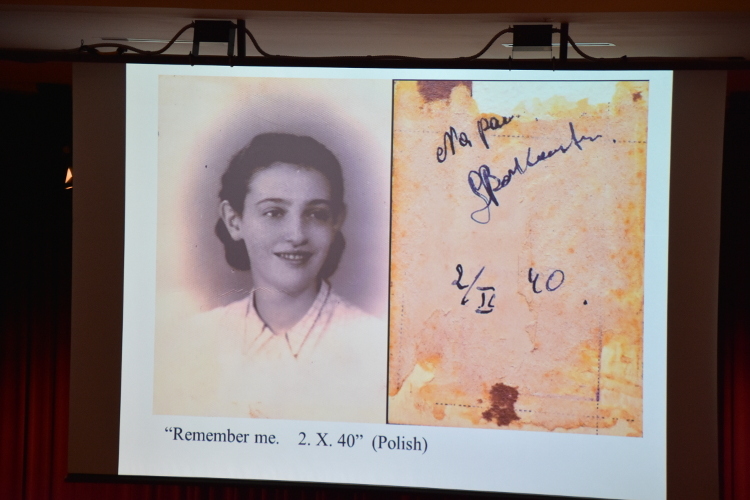 Mr. Seymour committed himself to teach about the experiences of his parents to the next generation, which he lectured on the Holocaust at over 100 local schools. Also, he shared the story of Linda Lingle, the former governor of Hawaii when she proclaimed April 3, 2003 to be Chiune Sugihara Day. Mr. Seymour also told his unforgettable emotional moment with Mrs. Sachiko, who is the wife of Chiune Sugihara and her son Mr. Chiaki in which they visited Hawaii for the event in 2003. In addition, he paid a tribute to Chiune Sugihara for his courageous action that risked his own life. The speech given by Mr. Seymour was filled with historical facts. It seems that the historical action taken by Chiune Sugihara was widely recognized as truth. We would like to appreciate Mr. Seymour for his speech. 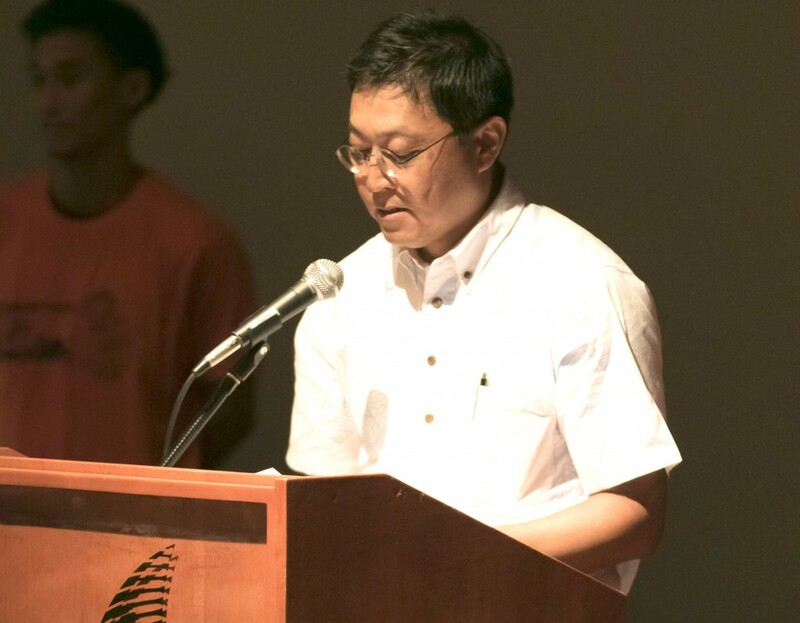 The main event of the first segment featured a keynote lecture by Mr. Akira Kitade, which was interpreted simultaneously in English and Japanese. Instead of focusing on Chiune Sugihara alone, Mr. Kitade has been researching about Tatsuo Osako, an employee of the Japan Tourist Bureau, who supported Sugihara in the background. 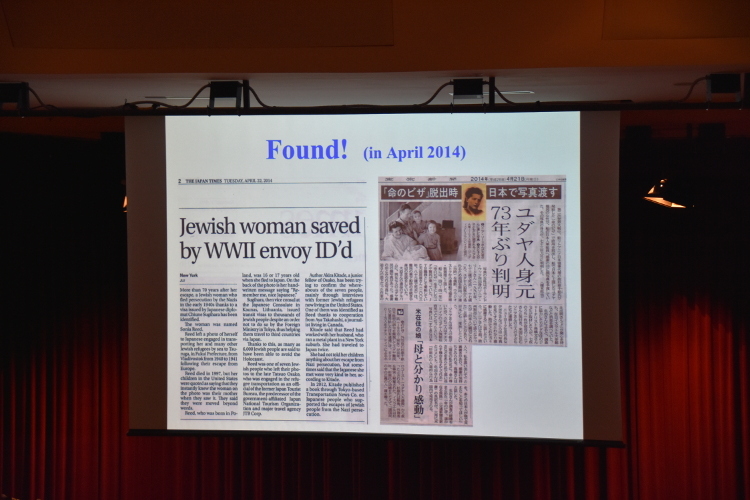 His research began since 2010, which he also focused on the “Sugihara survivors” who have survived as a result of visas issued by Chiune Sugihara. The PowerPoint slides were used during the lecture. 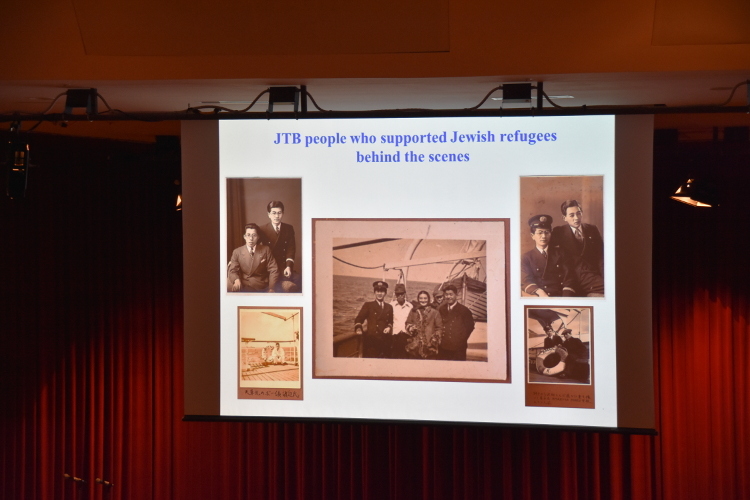 Mr. Tatsuo Osako was an employee of the Japan Tourist Bureau, who helped transport the Jewished refugees from Vladivostok to Tsuruga in Japan. 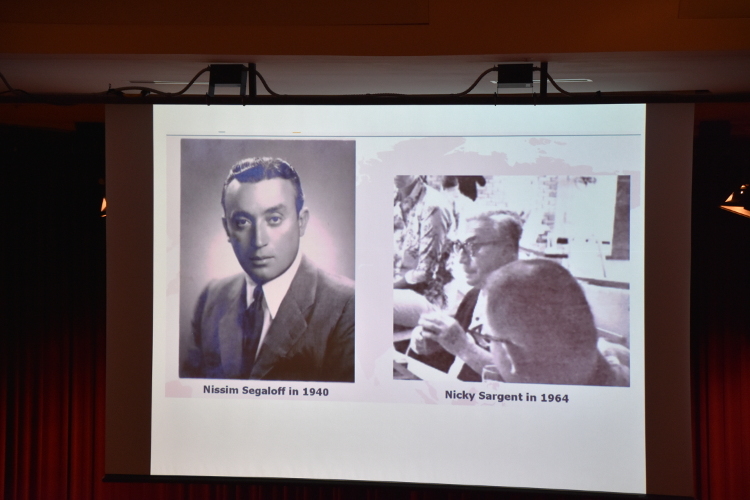 As a matter of fact, he was a boss to Mr.Kitade, which is the reason why Mr. Kitade began his research. In the film, Persona Non Grata, Gaku Hamada, a young talented actor played the role of Mr. Osako. 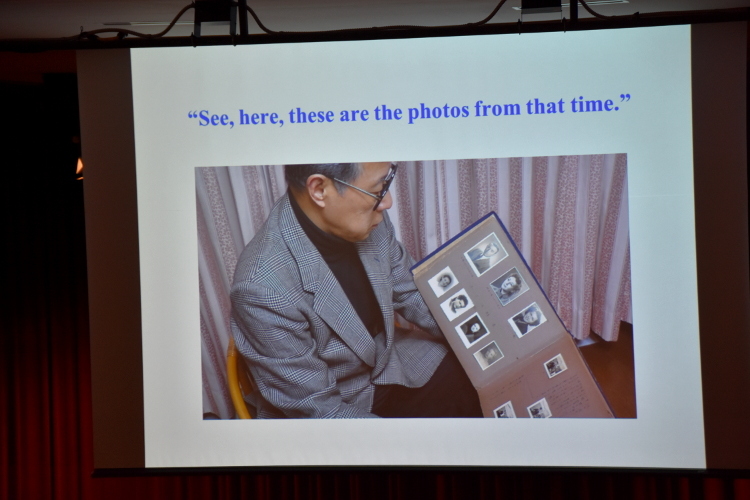 The upper left photo is Mr. Osako himself. The year was 1940. It all started at Rockefeller Center in New York. 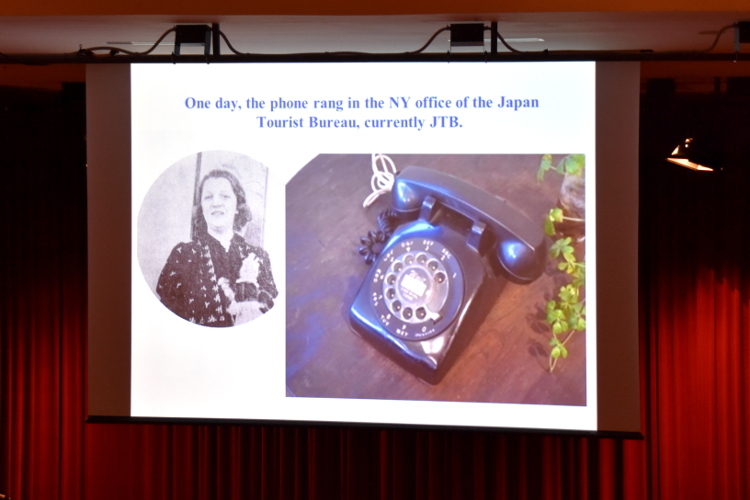 One day, the phone rang at the Japan Tourist Bureau office, which was located inside Rockefeller Center. The phone call was received by a woman named Hazel Allison. She and her boss sent a telegram to the headquarters in Tokyo. 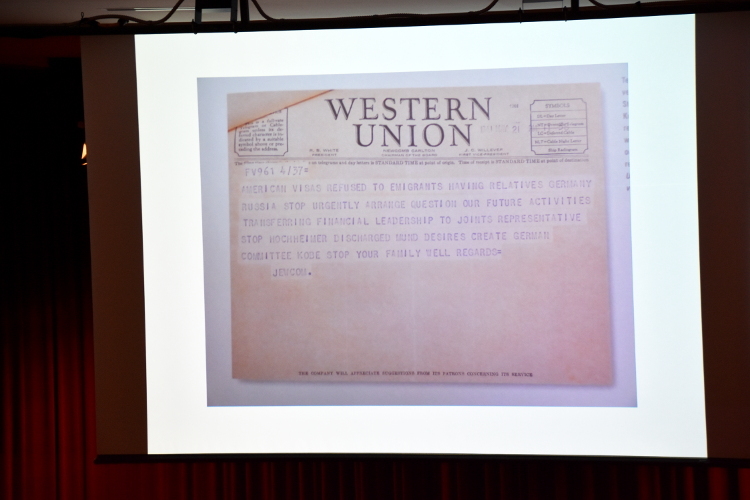 The picture on the slide is the actual telegram. Furthermore, there was a heated discussion in the headquarters. This is because Japan was allied with Germany during this period. Hence, the evacuation of the Jewish refugees would go against the German anti-Jewish policy, so indeed many opposed to the idea. Despite of it, the Japan Tourist Bureau finally accepted to assist the plan based on a humanitarian point of view. The picture on the right side is the ship that was used for transportation called the “Amakusa Maru” which weighs 2,346 tons. According to Mr. Osako’s mémoire, the mission was carried out during the stormiest season in the Sea of Japan from the end of 1940 through the beginning of Spring in the following year. This is a photo of Mr. Osako with his coworkers. You can also see the Jewish refugee standing in the center. Mr. Osako: second from the right side in the front row. Mr. Kitade: third in the center of the back row. 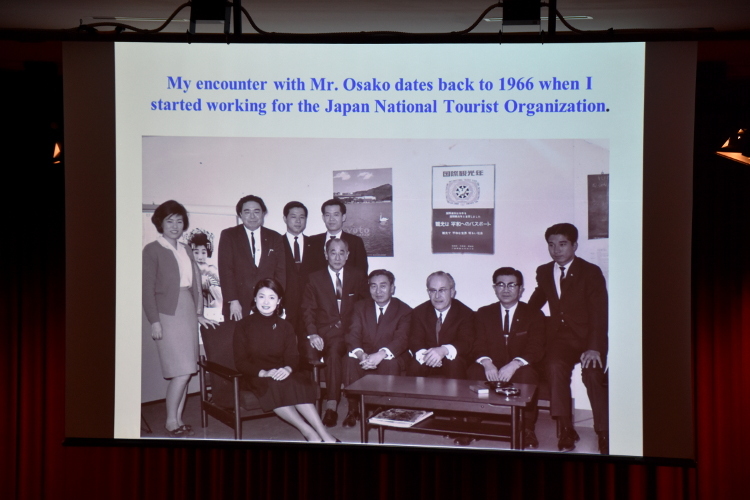 Mr. Osako and Mr. Kitade first met at the Japan National Tourism Organization (JNTO). Moreover, Mr. Kitade joined the company in 1966. On the other hand, Mr. Osako was assigned from the Japan Tourist Bureau to JNTO around the same time. Hence, Mr. Kitade had an opportunity to work under the guidance of Mr. Osako for nearly 3 years. 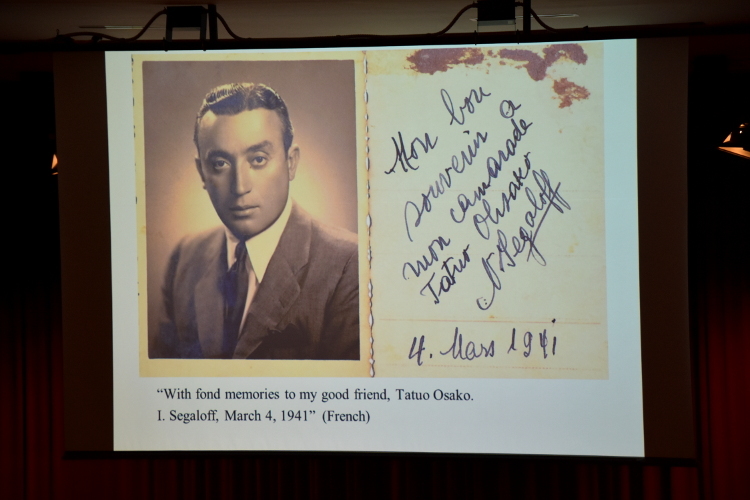 During the period when he was working with Mr. Osako, he wasn’t aware that Mr. Osako was involved in the evacuation project of the Jewish refugees. 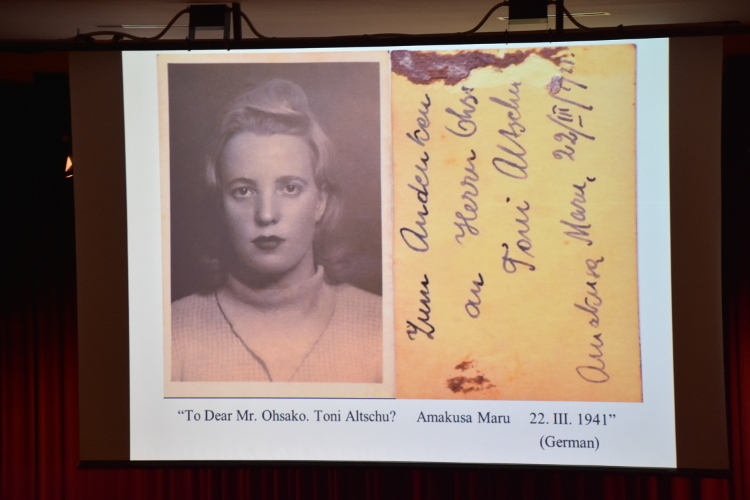 After Mr. Kitade found out about it, he saw the photos of the Jewish refugees which were kept in Mr. Osako’s photo album. He finally discovered the truth after 60 years later since Mr. Osako’s involvement. 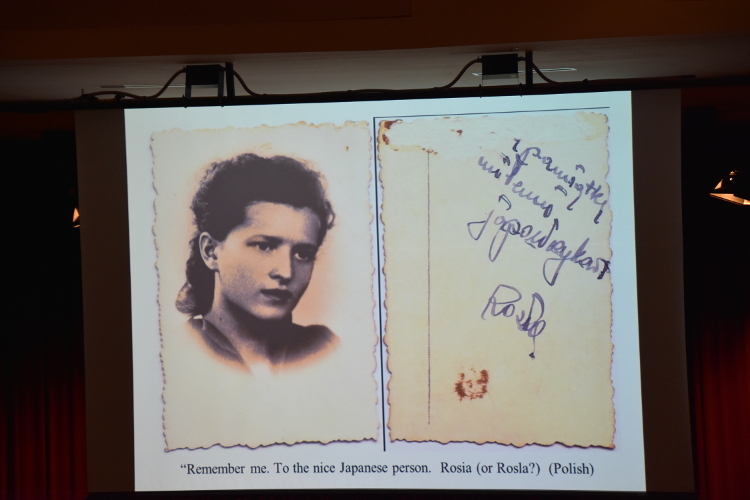 These are the photos of 7 Jewish refugees from the photo album in which Mr. Kitade was very impressed. He couldn’t stop thinking about where and what those survivors were doing now. 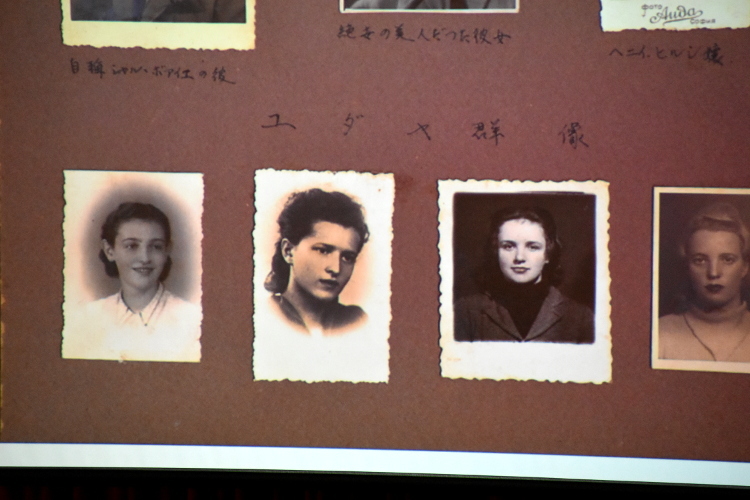 Mr. Kitade was most impressed by the second photo of a woman from the left bottom row. This is because her harsh stare expressed the suffering of Jewish people. 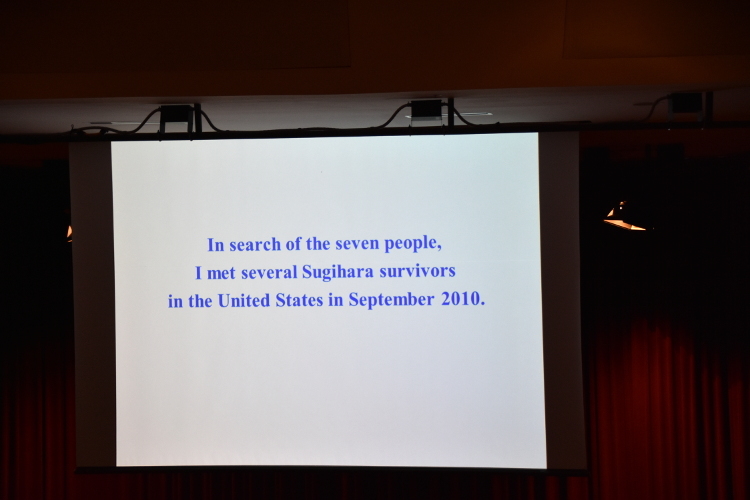 Mr. Kitade went to the U.S. to search for the Sugihara survivors on September, 2010. Prior to his departure, he obtained the contact information of 9 survivors from Yaotsu, Gifu, which is a hometown of Chiune Sugihara and also through the municipal office in Tsuruga, Fukui. 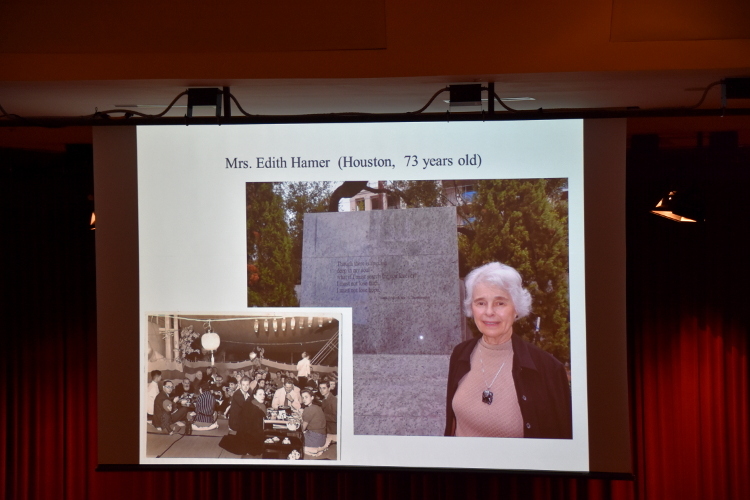 Mrs. Edith Hamer is currently working as a volunteer guide in Houston. The photo on the right was taken when she was approximately 73 years old. Also, the bottom left photo was taken inside the ship when she was traveling from Yokohama to San Francisco. 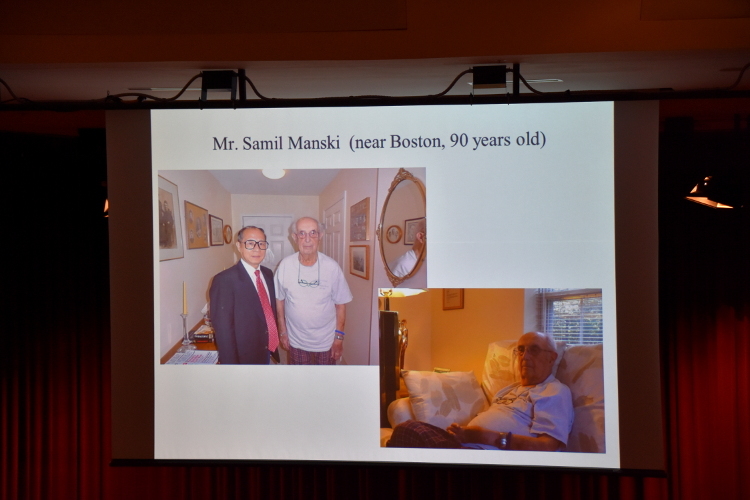 Mr. Samil Manski lived in a nursing home in the suburb of Houston. He was 90 years old in these photos. He said “I have cancer and I don’t have much time to live. I faced some hardships but I don’t have any regrets in my life. I was blessed with my wife and children which I’m happy about.” He passed away 9 months after this interview. 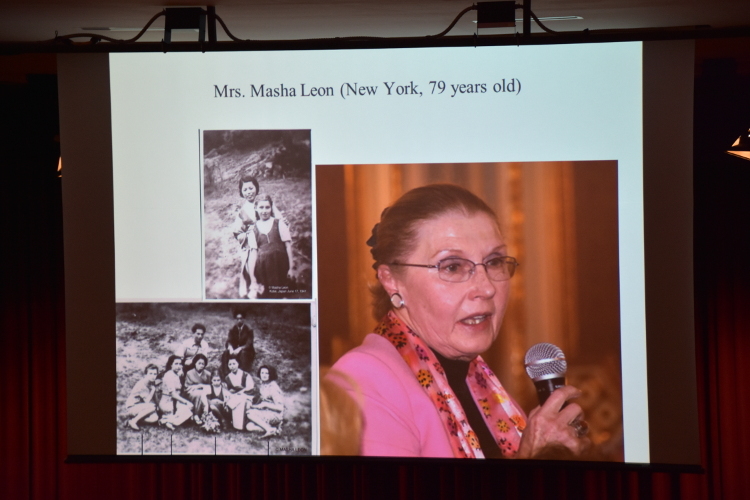 Mrs. Masha Leon is a journalist living in New York. After she arrived in Tsuruga, she went to Kobe and stayed there for a while. The photos on the left are the only ones that were taken during her stay in Japan. 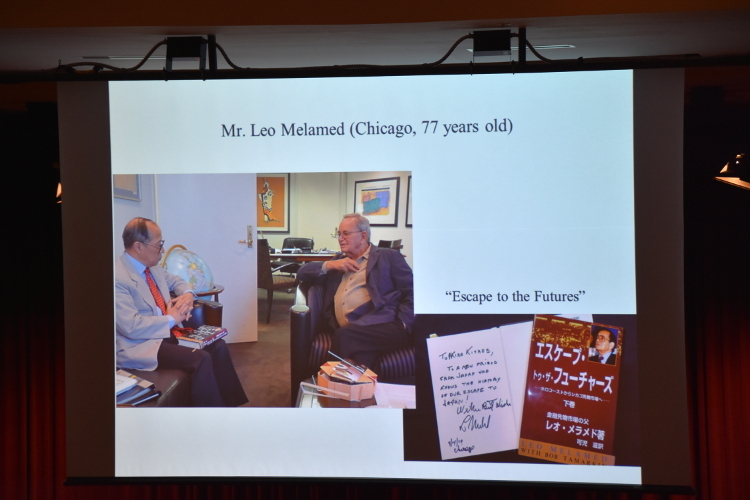 Mr. Leo Melamed is the chairman emeritus of CME Group in Chicago, who is a well-known figure in the U.S. The bottom right photo is his 2-volume autobiography. 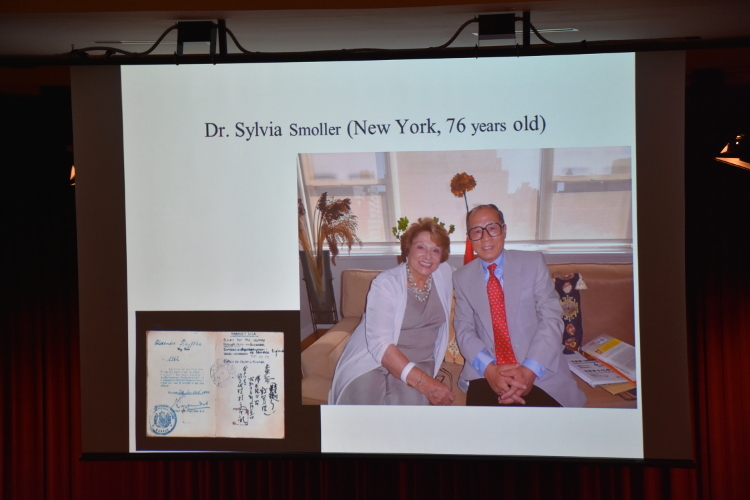 Dr. Sylvia Smoller is currently living in New York. She is also known for donating her Sugihara visa to Yaotsu Gifu. Her visa had saved the lives of 3 including her parents and herself. 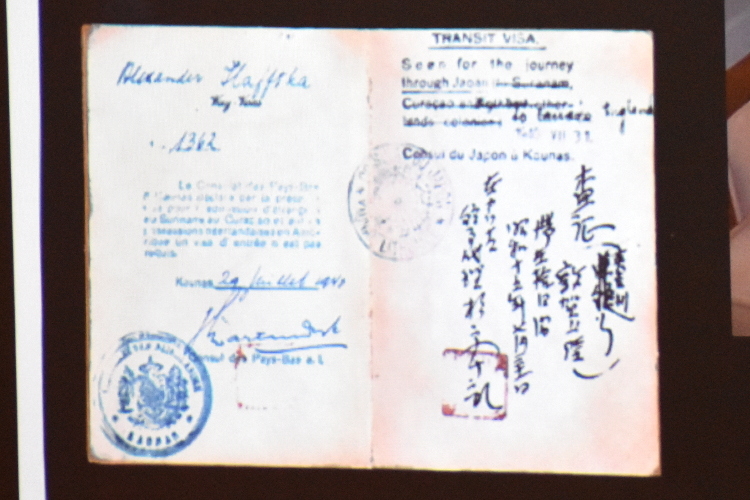 The photo on the right is the actual Sugihara visa. Mr. Benjamin Fishoff is a banker living in New York. He arrived in Tsuruga by the Amakusa Maru, but he didn’t have the necessary documents, so he was sent back to Vladivostok. He was prepared to be in Siberia however, he was able to enter into Tsuruga with the support from the Jewish organization in Kobe. 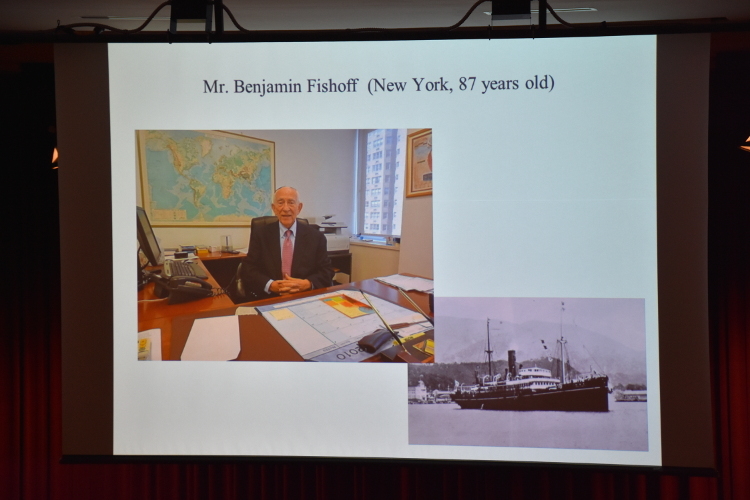 By the time Mr. Fishoff left Europe, his family members were all taken to the concentration camp, where they lost their lives. Also, he was all alone without a single relative when he moved to the U.S. Despite of it, he worked hard and also he was blessed with his wife, 5 sons and 28 grandsons. Also, he told us that he have uncountable number of great-grandchildren. After Mr. Kitade returned to Japan, he was given many opportunities to lecture on his findings. 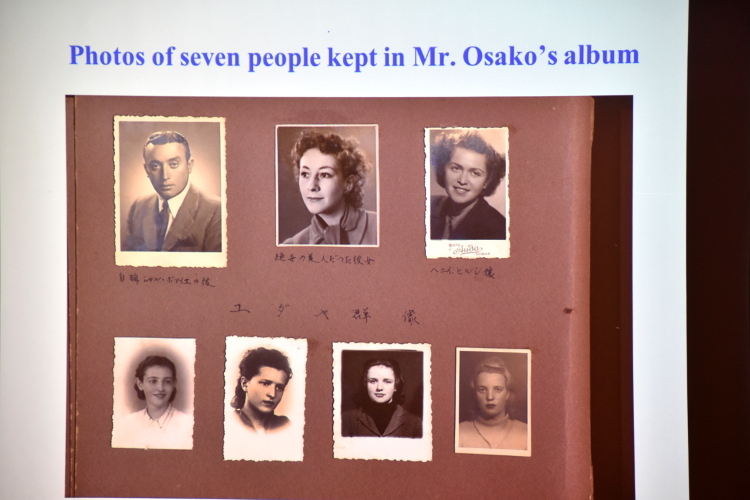 In April of 2014, as a result of his effort, he was able to identify 5 Sugihara survivors out of 7 whose photos can be seen in Mr. Osako’s photo album. The photo of a sad-eyed woman was identified as Mrs. Sonia Reed. It has been told that she got married after she moved to the U.S. and lived a happy life. 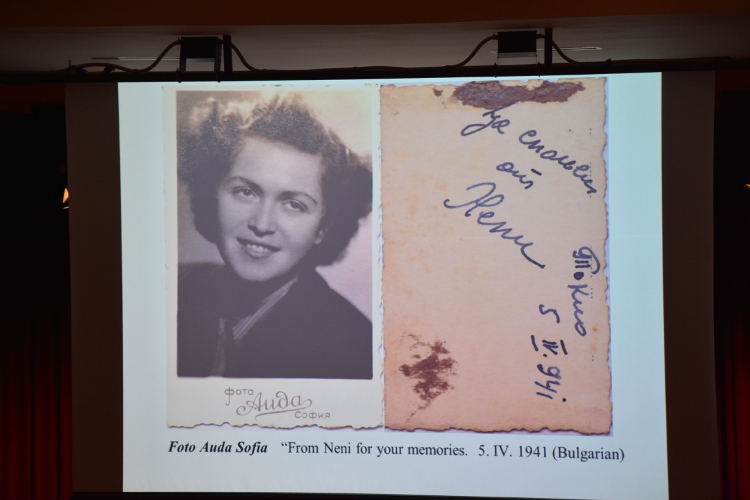 The only photo of a man in the photo album was identified as Mr. Nissim Segaloff aka Nicky Sargent, who played backgammon after he moved to the U.S. He was internationally recognized as one of the great players. In addition, he won second place in the first international backgammon tournament in the Bahamas. His later whereabouts are unknown. 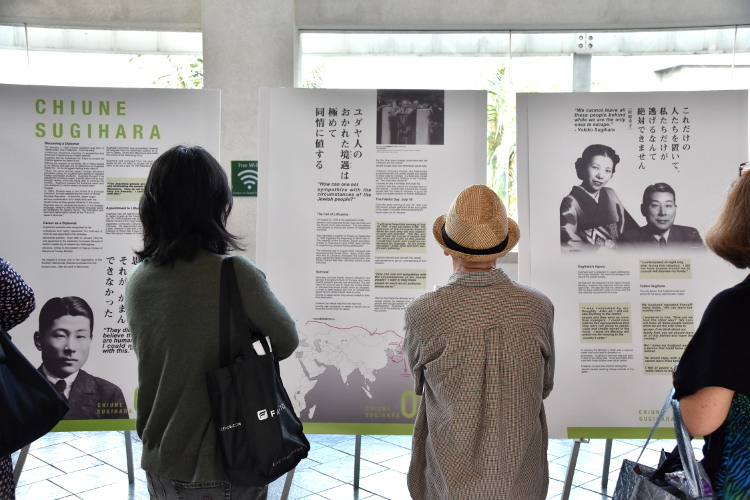 The information of these Sugihara survivors discovered in the U.S. was published in the book, Visas of Life and the Epic Journey: How the Sugihara Survivors Reached Japan. 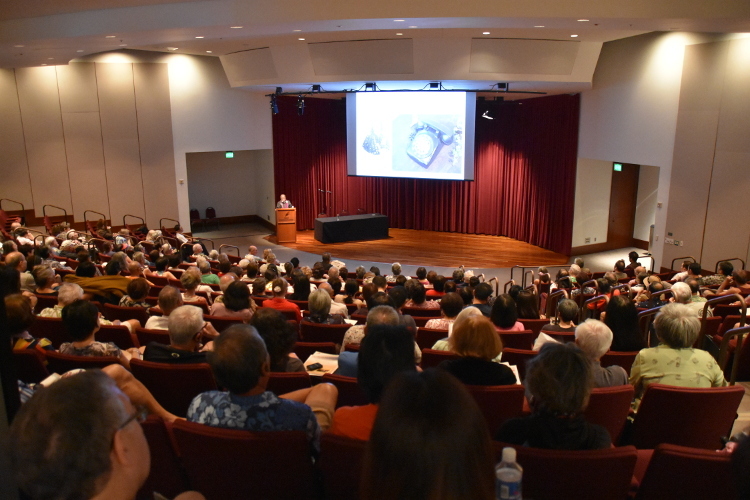 We would like to appreciate Mr. Kitade for taking the time to arrange the lecture with the Honolulu Festival Foundation and also for passionately sharing his stories through his book. 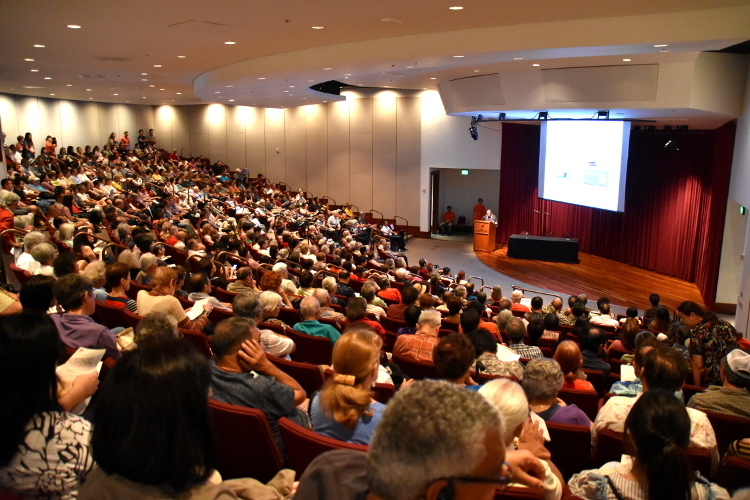 The film screening was held after the keynote lecture. 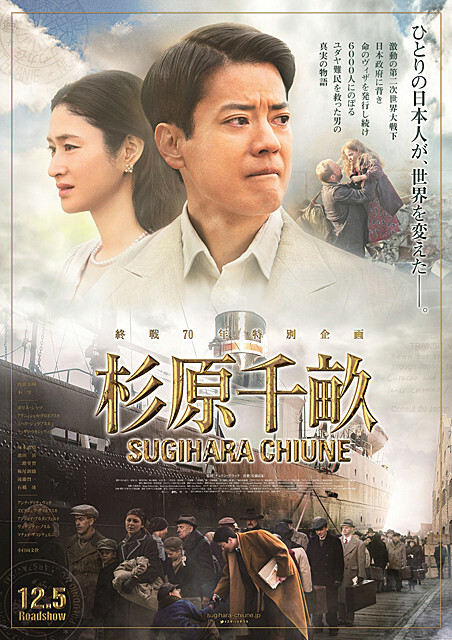 The film, Persona Non Grata depicts the life of Chiune Sugihara, a Japanese diplomat often referred to as the “Japanese Schindler”, who issued transit visa “Visas for Life” to approximately 6,000 Jewish refugees so that they can escape from Nazi persecution via Japan. Sugihara’s courageous action was risky, since it was against the order of the Japanese government. After the Jewish refugees obtained their visa from Mr. Sugihara, they needed transportation from Europe to the U.S. via Japan. 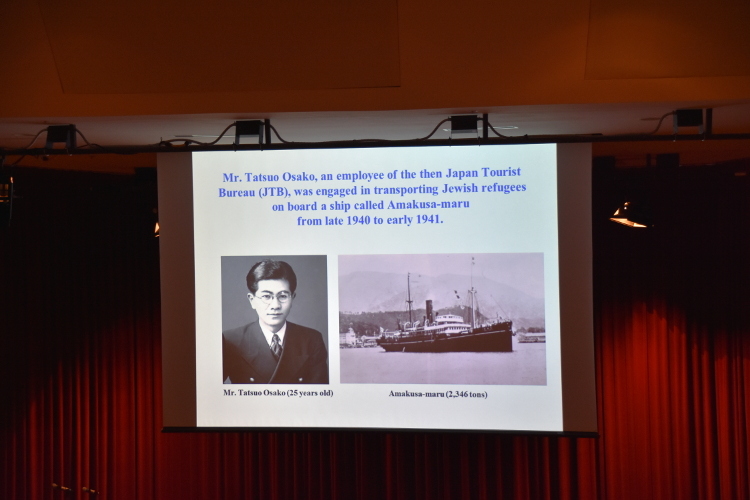 The Japan Tourist Bureau (current JTB Group) arranged the ship called the “Amakusa Maru” to transport those Jewish refugees. The Amakukusa Maru traveled from Vladivostok to Tsuruga and from Kobe to Yokohama then safely arrived in the U.S. with the Jewish refugees as well as the employees of the Japan Tourism Bureau aboard. Surely, this is the story of “Relay of Life”. Also, the display panel related to “Visas for Life” was set up outside the theater hall with the cooperation of JTB. There was a long queue in front of the display panel after the film screening which ran for 2 hours. We received positive feedback from the audience such as “it was great”, “it was touching” and so forth. 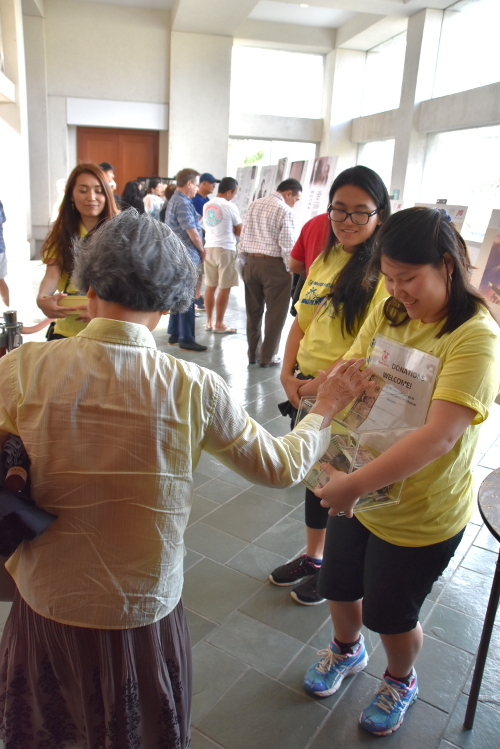 Furthermore, the staffs and volunteers of the Honolulu Festival Foundation have gathered to collect donations for the Sugihara House, a museum of Chiune Sugihara in Lithuania. A total of $1,000 was raised from the audience who were impressed by the keynote lecture of Mr. Kitade as well as the film, Persona Non Grata. 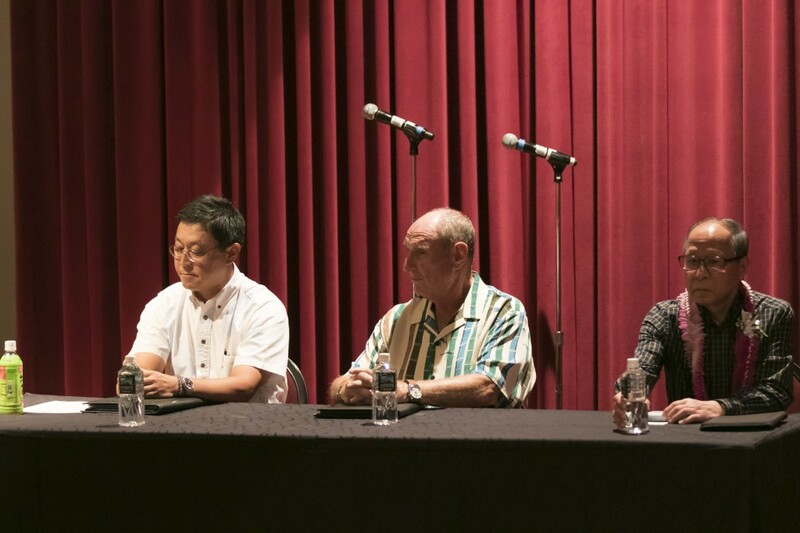 The donation was also made by the Honolulu Festival Foundation which raised $2,000 in total. The baton of “Relay for Life” was handed down from Chiune Sugihara to Tatsuo Osako, then to people of Hawaii through the inspiring story of Chiune Sugihara. We believe that this event created a place for people to “think” and “act” on peace.